When a bride is looking for “something new” to enchant her fiancé on their special day she can always look to her wedding ring, a symbol of their appreciation and adoration for each other. Since 1980, Northeastern Fine Jewelers has offered couples the finest wedding bands from many luxury designers. Pavé wedding diamonds are different from all other rings for their sophisticated style. 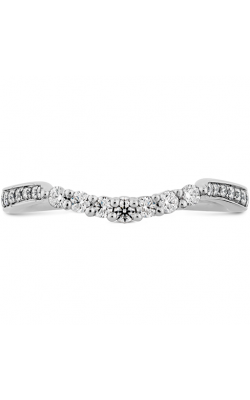 Diamonds snugged together between two darling metals create a solid ring light on her finger. How these diamonds interact with light not only captures the eye, but captures the heart as well. Many pleasing wedding band designers that specialize in gorgeous pavé diamond bands are available at NEFJ. One of the most notable ones is Tacori, the artisan jewelry brand from California that adds a hidden symbol of love to each bridal jewelry piece. Each one integrates the interlocking half-moon crescent arc that’s noticed in many of their engagement and wedding rings in collections like RoyalT, Simply Tacori, and Dantela. If you’d like a more geometric or exotic design for your wedding ring, gravitate towards Simon G and the brand’s popular collections Mosaic and Vintage Explorer. 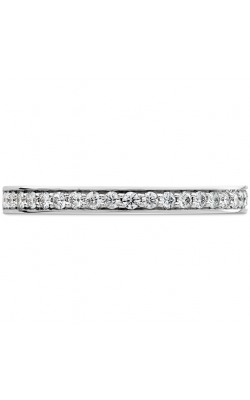 These pavé wedding bands are formed with love, and strategically created with 18k white gold. Designs of timeless glamour can be noticed in the brands by ArtCarved and Amden. These two designers give an everyday contemporary feel that is cherished as high-quality everyday wear. Our swank collection of modernized beauty is available in the Hearts on Fire pavé wedding band selection that can be stacked together or worn alone. They’re made to be fantasized about and have eclectic, modernized names such as Adoration, Enticement, and Beloved. Why Shop for Pave Wedding Bands at Northeastern Fine Jewelers? Locations are easy to find if you find yourself in New York City, Albany, Glen Falls, or Schenectady. Our hand-picked, GIA-graded diamonds, rubies, sapphires and emeralds are the specialty we love for decorating all occasions. NEFJ not only has the most popular designer collections; jewelry repairs, watch repairs, modified and custom made jewelry, and an independent appraiser is all one call away. One year warranties against manufacture defects and repairs or lifetime upgrades won’t ever let your purchase be a disappointment. Visit us today and see for yourself!